Today was the end of an activity that has been in the planning for a number of months for Hooded Plover conservation. 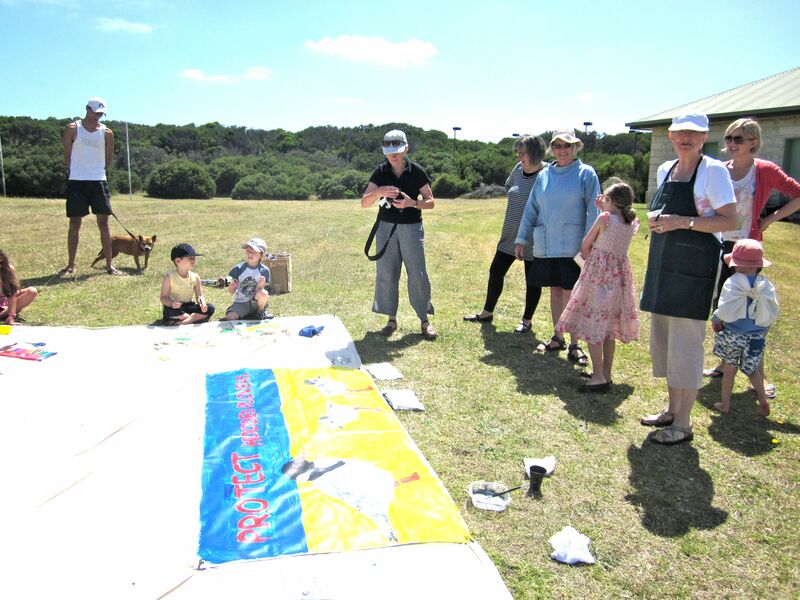 It was a Banner Painting event at St Andrews beach on the Mornington Peninsula. Vinyl banners were ordered and made, special flexible paint ordered from Coburg, brushes bought and a lot more combined with 15 to 20 people to paint three banners concentrating on Hooded Plover protection. And with other members of the Friends of the Hooded Plover on the Mornington Peninsula we pulled it off.